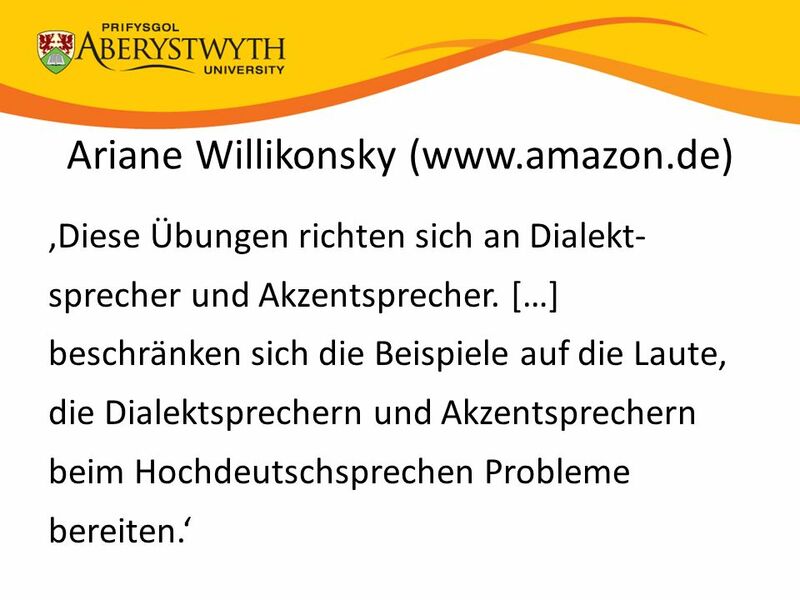 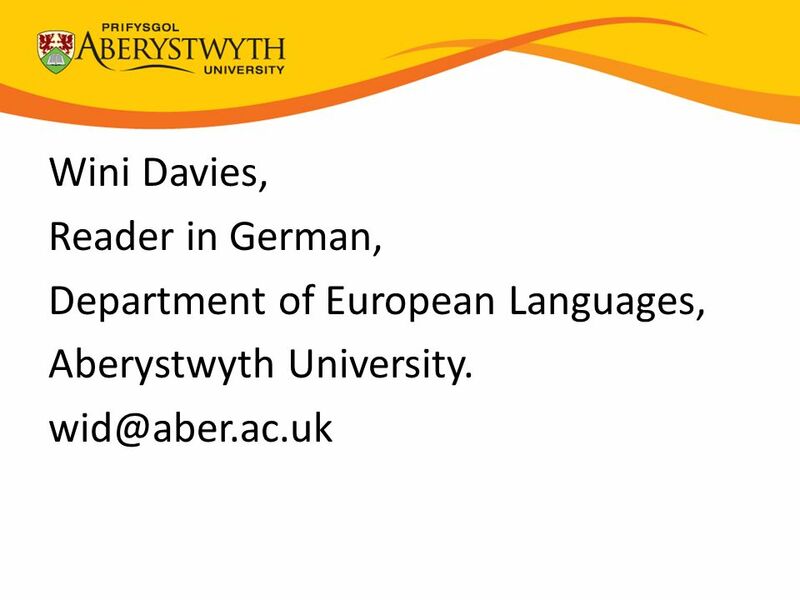 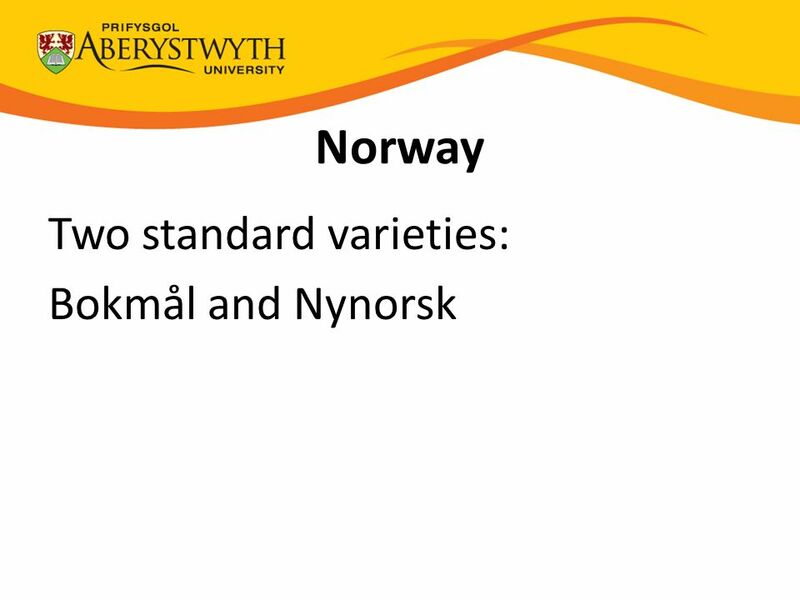 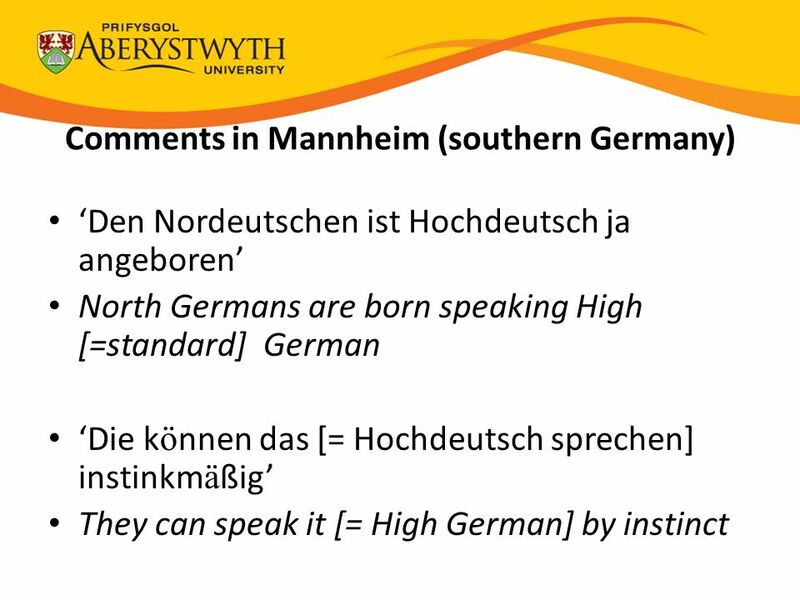 Wini Davies, Reader in German, Department of European Languages, Aberystwyth University. 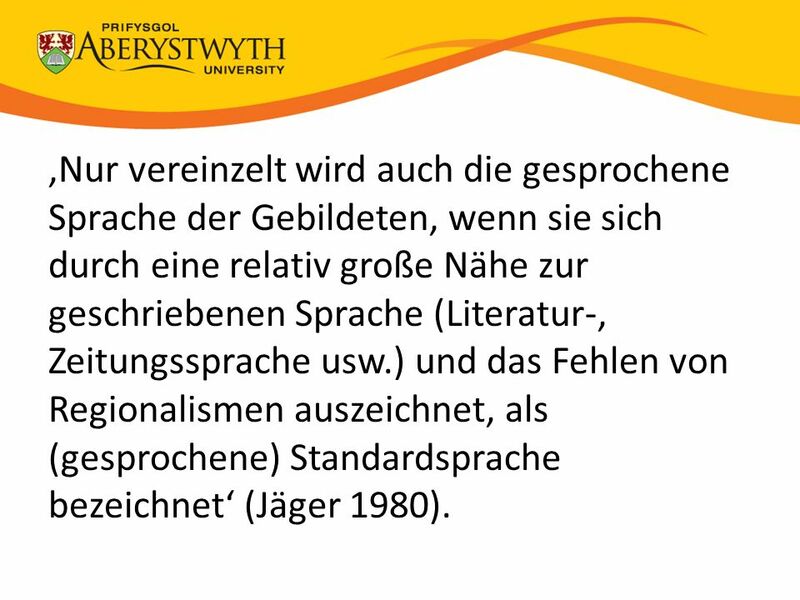 3 ‘It is a tribute to our educational system that the overwhelming majority of Americans have been instilled with a rocklike conviction that certain linguistic forms are correct, while others are wrong. 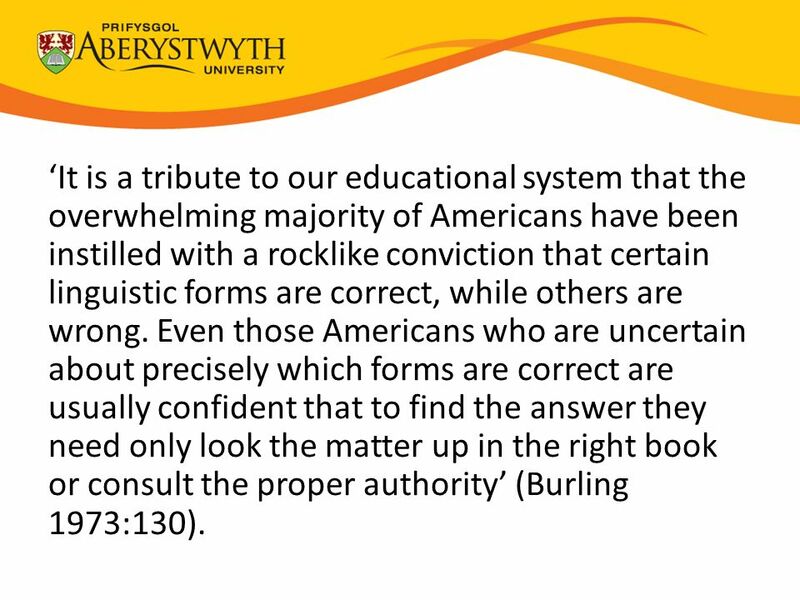 Even those Americans who are uncertain about precisely which forms are correct are usually confident that to find the answer they need only look the matter up in the right book or consult the proper authority’ (Burling 1973:130). 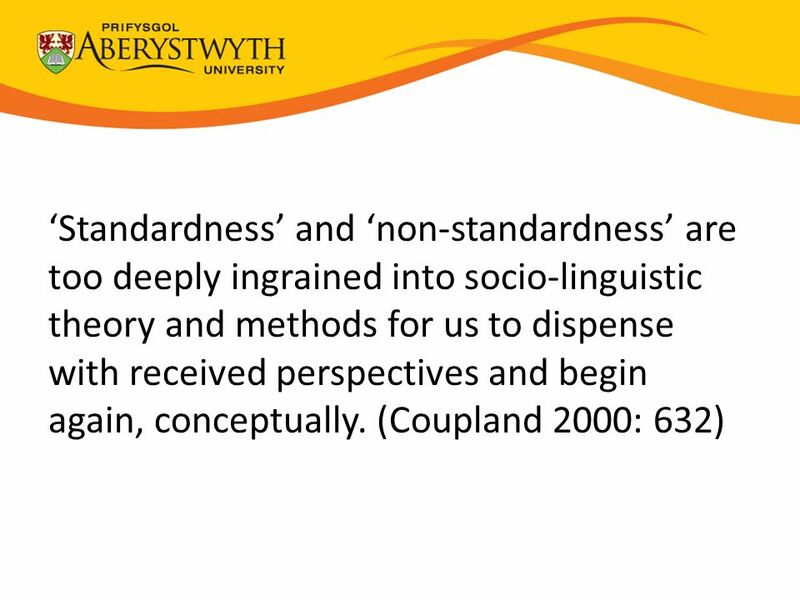 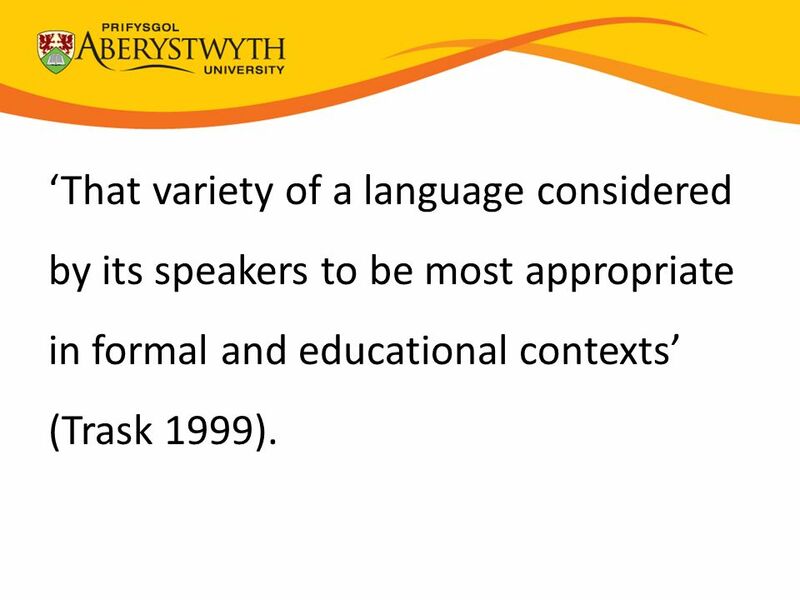 7 ‘That variety of a language considered by its speakers to be most appropriate in formal and educational contexts’ (Trask 1999). 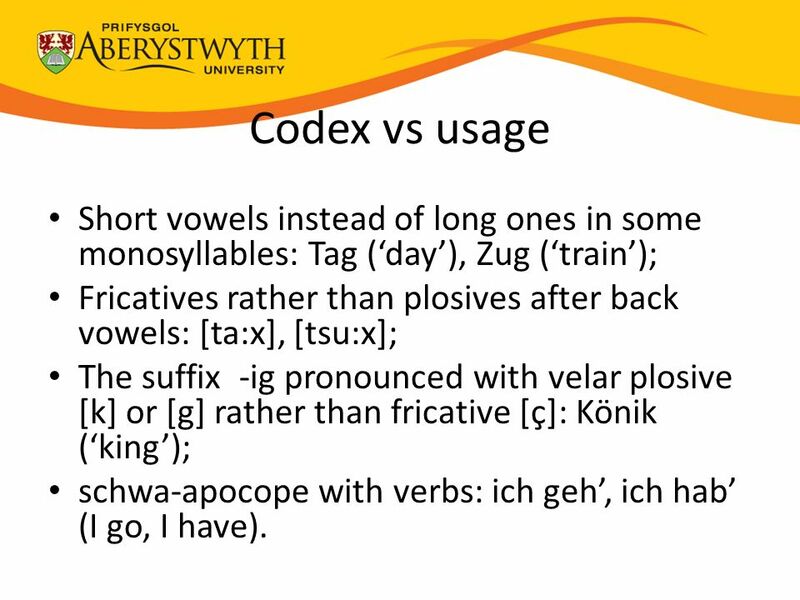 15 Codex vs usage Short vowels instead of long ones in some monosyllables: Tag (‘day’), Zug (‘train’); Fricatives rather than plosives after back vowels: [ta:x], [tsu:x]; The suffix -ig pronounced with velar plosive [k] or [g] rather than fricative [ç]: Könik (‘king’); schwa-apocope with verbs: ich geh’, ich hab’ (I go, I have). 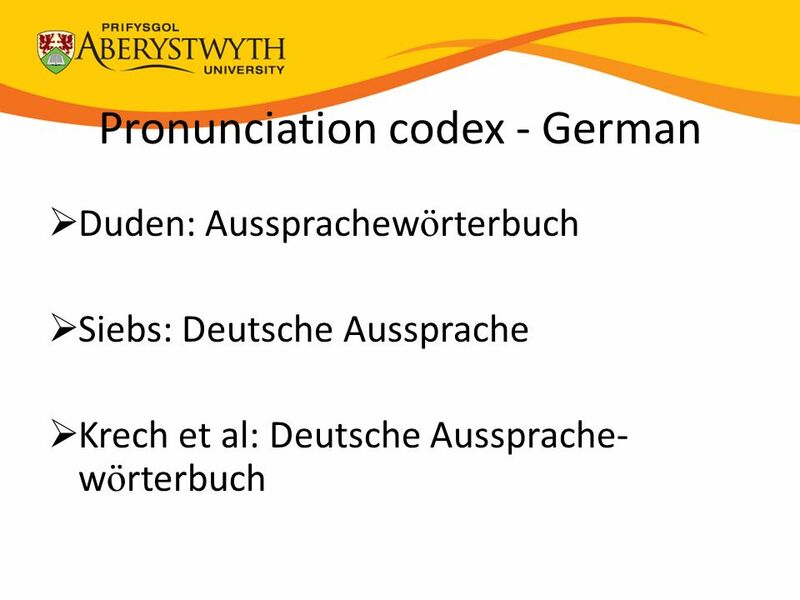 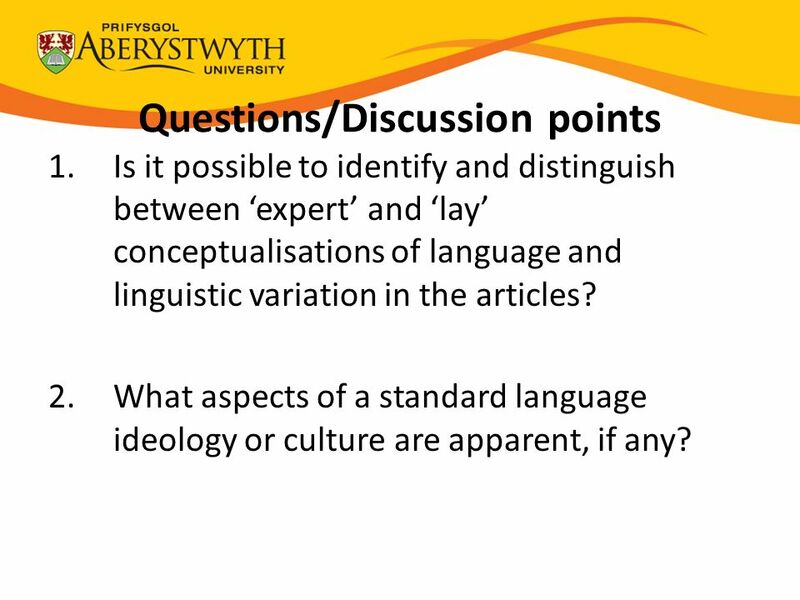 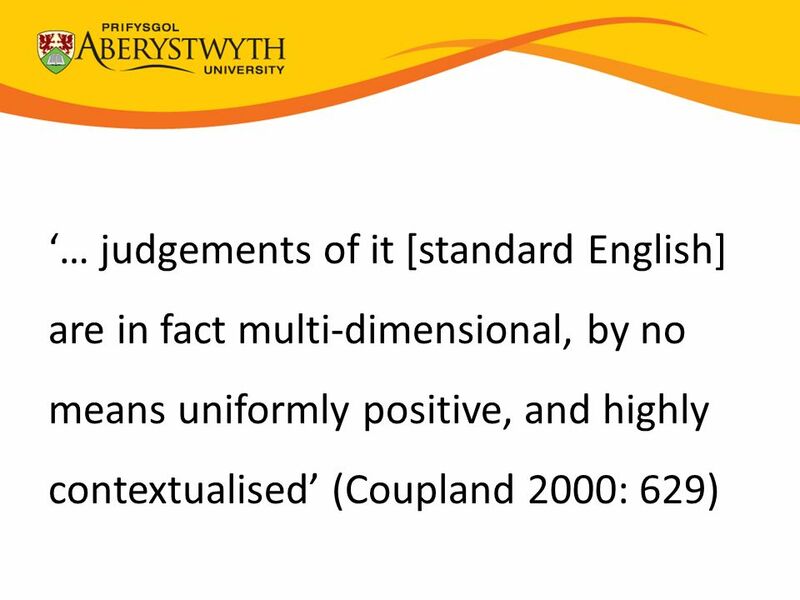 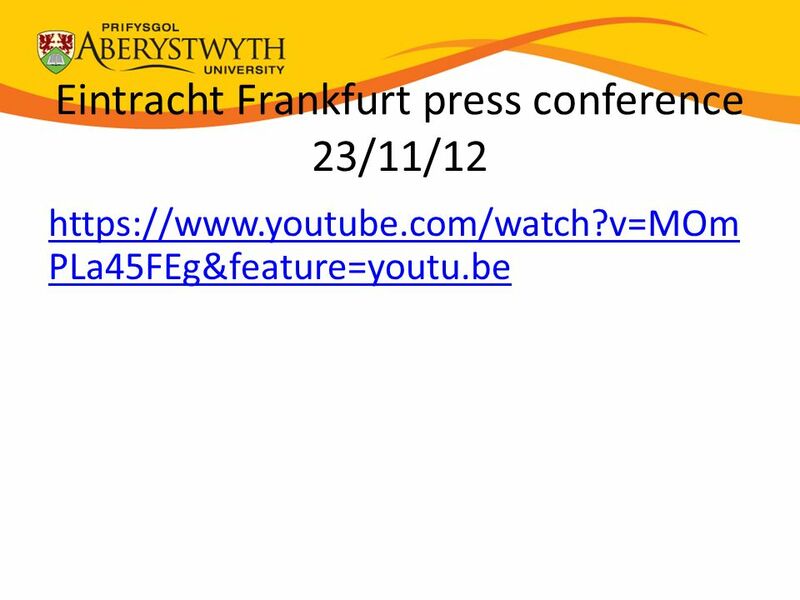 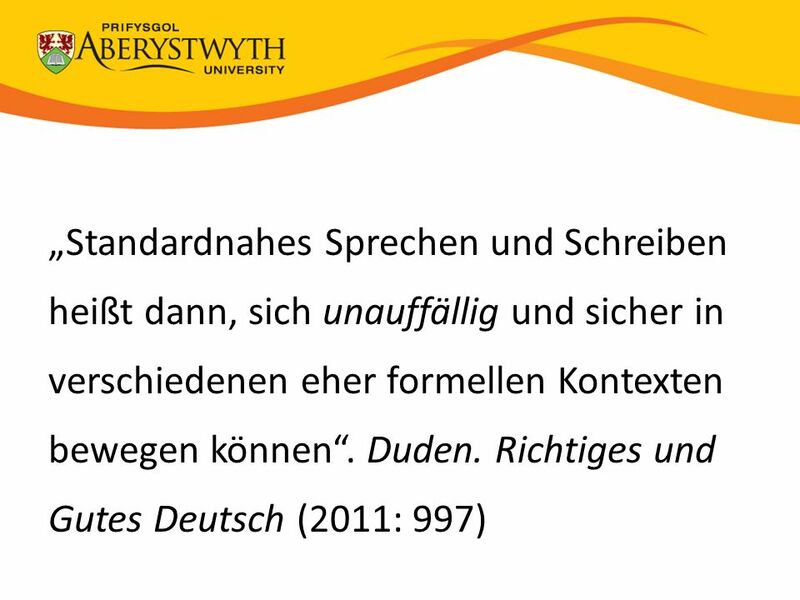 Herunterladen ppt "Wini Davies, Reader in German, Department of European Languages, Aberystwyth University." 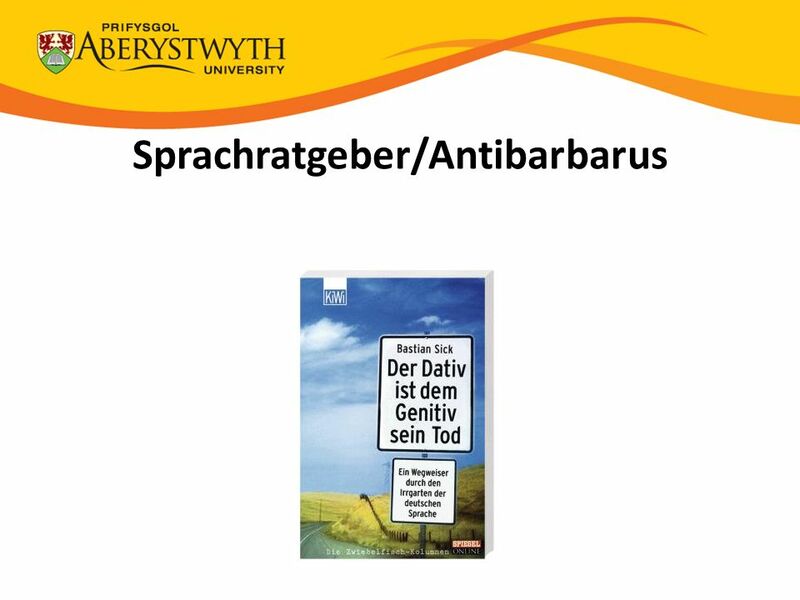 Deutsch III Sport berichten – Correcting German Writing 9. 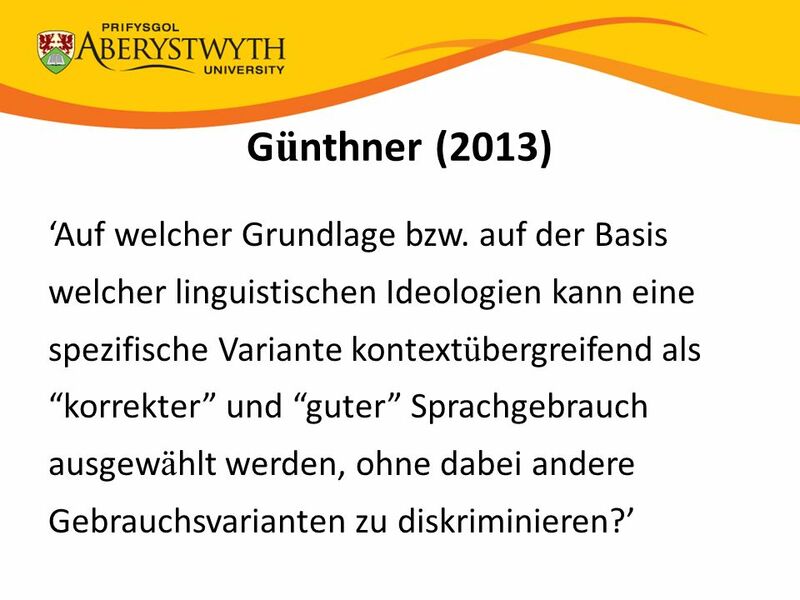 Oktober 2012.